This blog post has taken me almost three times as long as any other to date, maybe because my ‘research time’ ended up being ‘play Fix-It Felix Jr.’ time. Maybe because I loved the movie so much that I spent half an hour picking the perfect picture of Ralph and his sassy side-kick Vanellope. Or maybe it is just because I’m a master procrastinator. I cannot stress enough the brilliance of this movie. Everytime the plot seemed to be taking a turn towards some kind of predictability it spun round and looped the loop, keeping audiences engaged until the end. It’s clearly aimed at a young audience, as are all Walt Disney Animation Studios productions, but with old school arcade characters popping up (such as THE Pac-man and Sonic THE Hedgehog) an older generation finds themselves roped in. It certainly helps the movie that the brilliantly chosen accompanying sound track is composed by artists such as Rihanna and Owl City. Not to mention Skrillex, who for those with sharp eyes, would have spotted him early on in the movie during Fix-It Felix’s house party. An inside joke for those older kiddies (an inside joke I laughed at a little bit too much). But let me tell you, while this movie had me in hysterics and genuinely made my day brighter, I cried. Like a little baby girl. A baby girl wearing all pink getting her vaccinations. I was an emotional WRECK (GETTIT? HUH?) but I regret nothing. I would see this movie again and again, and have offered to take each of my friends with me. I cannot recommend it enough. 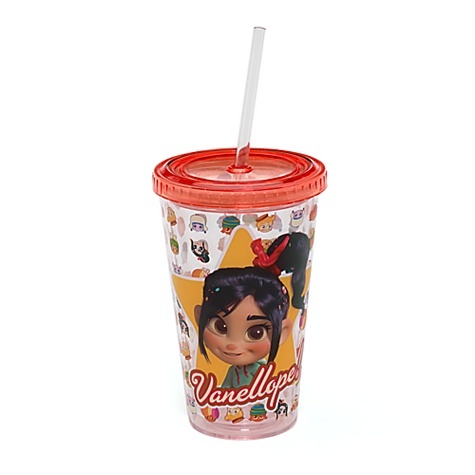 In fact, as I sit here typing this, I’m drinking from my ‘Vanellope’ juice cup. Dedicated fan! My new sippy cup – Available at the Disney Store! I may be coming across as a creepy obsessive wierdo, but that’s just how great a film this is. And I’ve already asked my mother to buy me the DVD when it is released world-wide on March the Fifth. Do yourself a favor take your kids, your brothers or sisters, your mums and dads, your friends…Take anybody and everybody to see this film. Play the Games on this LINK. Everybody deserves a little bit of ‘Wreck-It Ralph’ in their lives.